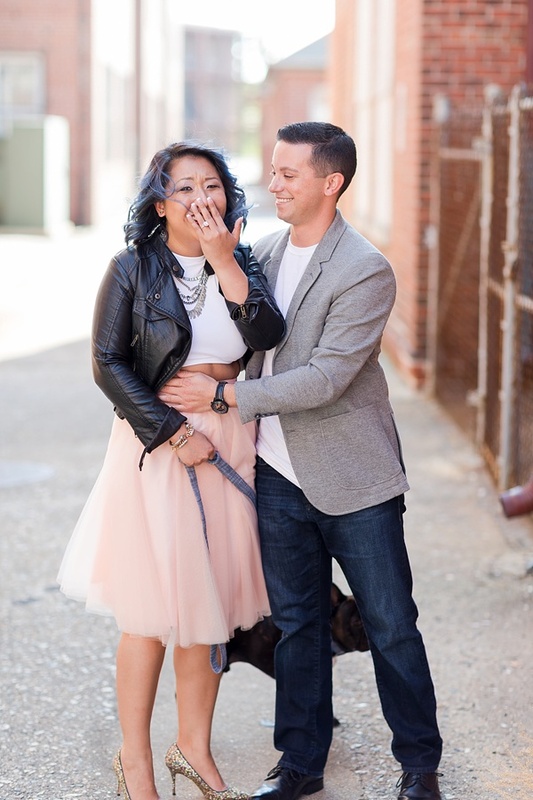 The story of Ashley and Tyler began many years ago when they were teenagers growing up in Chesapeake, Virginia. On a sunny day, during Spring of 2002, they just happened to meet at a mutual friend's house. Always laughing and smiling, Tyler will never forget seeing Ashley for the first time. Ashley, on the other hand, has the self-proclaimed memory of a goldfish and does not remember this day as clear. They soon became friends and for the remainder of high school would see one another at parties and group gatherings, and every once in a while went on dates to the local movie theater. In the years that followed high school, they kept in touch randomly, often only saying a quick hello and catching up over social media. Over time, their friendship faded as they each set out on their own. 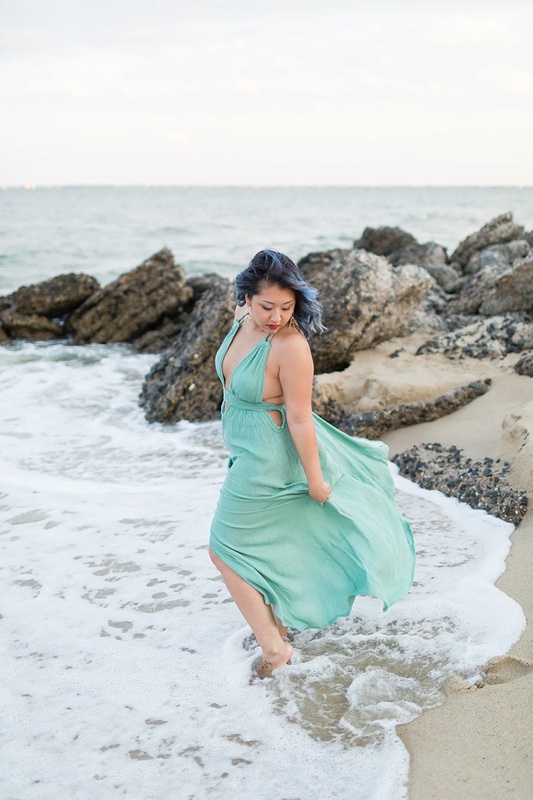 Tyler joined the Navy and traveled the world while Ashley stayed in northern Virginia after graduating from George Mason University. They never imagined that the quick hellos throughout the years would turn into more, but love has a funny way of evolving between two people meant for one another. Deep down, they always kept a special place in their hearts for each other. It wasn't until late 2012, when Tyler had just returned from deployment, that Ashley struck up a conversation with him on Facebook. Their first time talking in years ended up lasting for hours, and that spark that was patiently waiting to ignite finally lit. 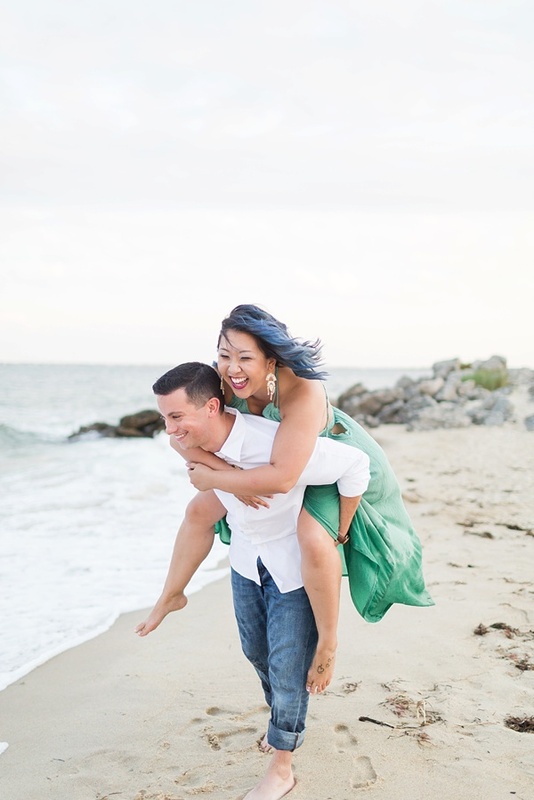 Although Tyler was living in San Diego and Ashley remained in northern Virginia, they continued to grow their relationship over the following year. Military life can often be difficult, especially when it means being so far away from each other, but Ashley and Tyler made it work. 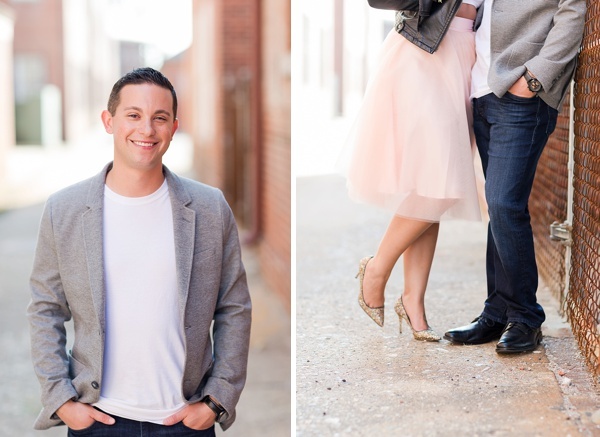 With a little bit of luck, Tyler was fortunate to be stationed near Washington D.C. in late 2013, and soon after Ashley and Tyler continued growing their love for one another. 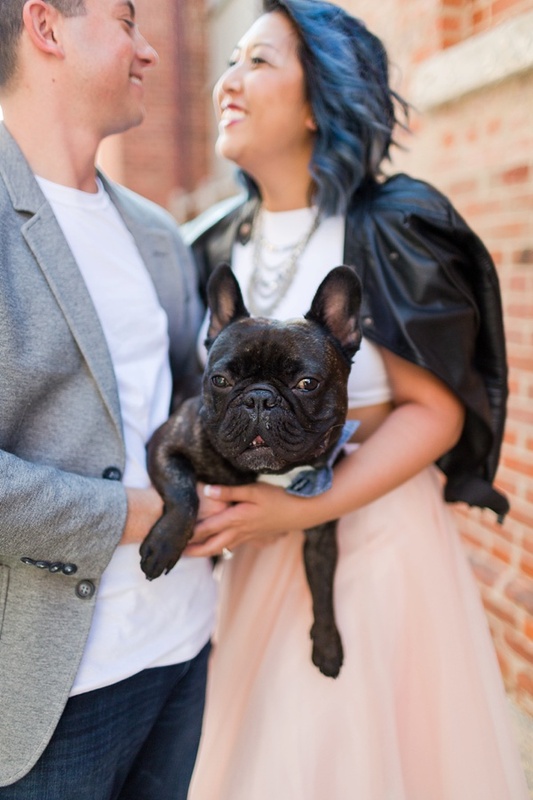 Ashley introduced Tyler to her too-cute-for-words French Bulldog, Louis, and a happy little family was formed. Ashley, Tyler, and Louis have now been together for nearly five years. 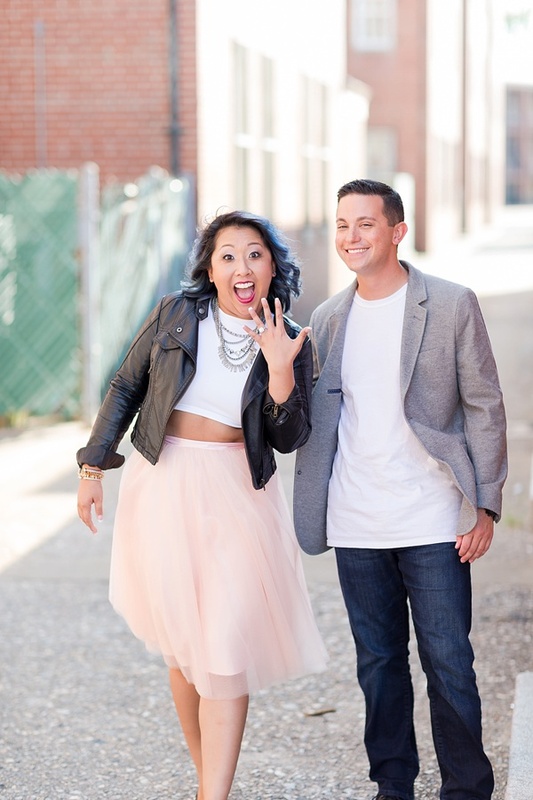 What was once a high school crush turned into an amazing life that will soon become a happy, loving marriage. 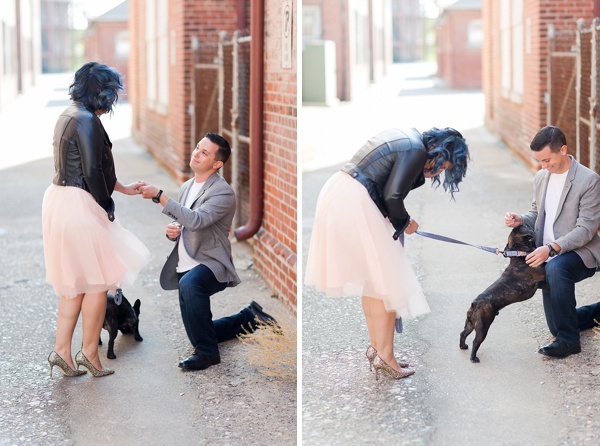 So when it came time to propose, Tyler knew he needed to make it memorable because of the long journey they've been on. 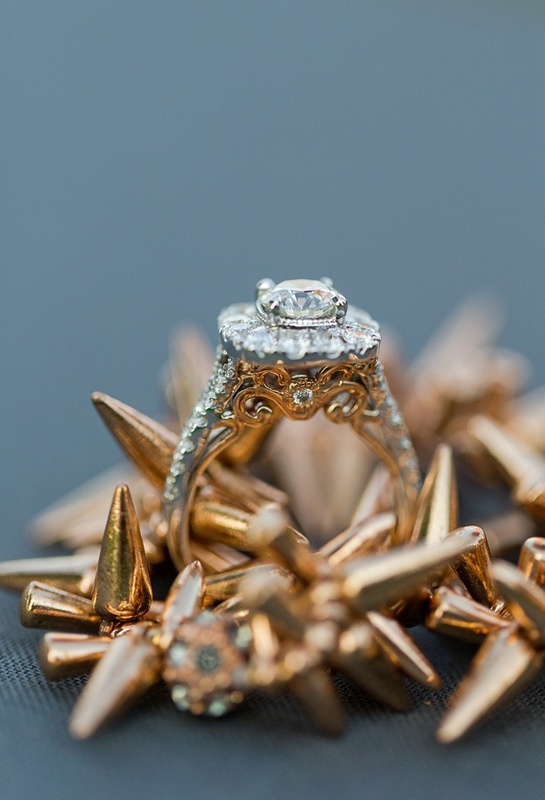 Little did Ashley know that what was "planned" as a normal photo shoot with Luke and Ashley Photography was actually a secretly months-in-the-making surprise marriage proposal. 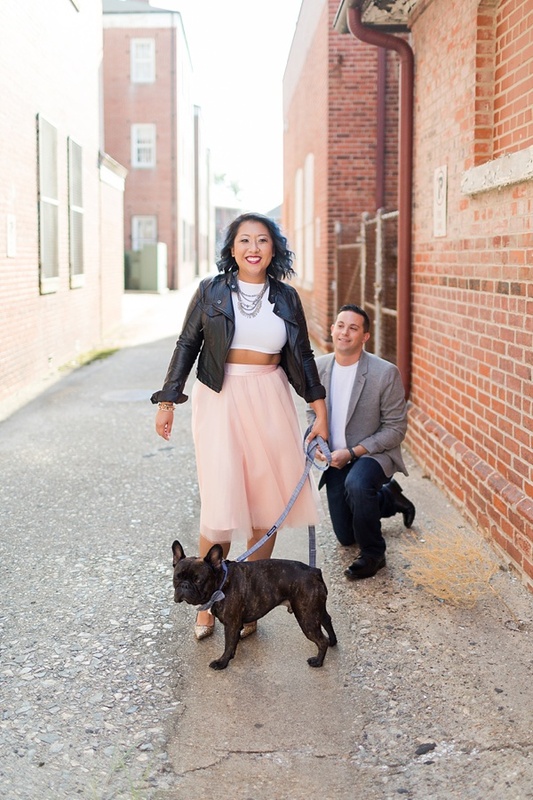 With Ashley's parents witnessing and Louis at his side, Tyler asked for Ashley's hand in marriage at Fort Monroe in Hampton. 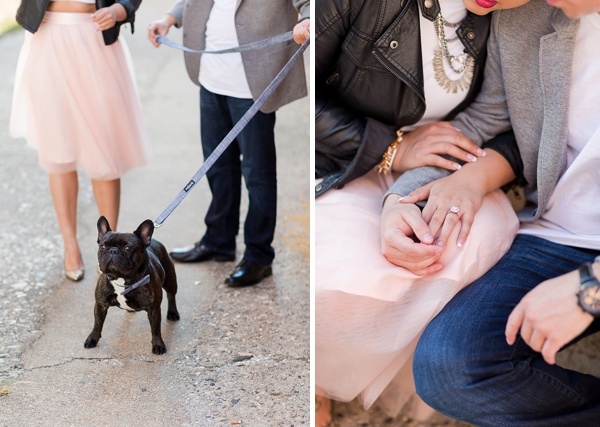 And well, the photos say it all and gave us major heart squeezin' swoons!